Been needing to write this article since I have to say it almost daily. People call me and say their RZR or Ranger is grinding into gear, creeps without giving gas or goes dead when coming to a stop. There are three different reasons why it will do this and you simply have to take a picture inside your primary or in the case of a 800 RZR look straight down into it. So what you do is, lets say it is doing it right now, turn engine off, take clutch cover off and take a picture like the three below that points directly into the primary clutch as shown below or as mentioned you can look straight down on a RZR 800. You have to get the camera pointed just right to make sure about this, I took these pictures on a clutch that was off the vehicle and on my work bench today for examples. 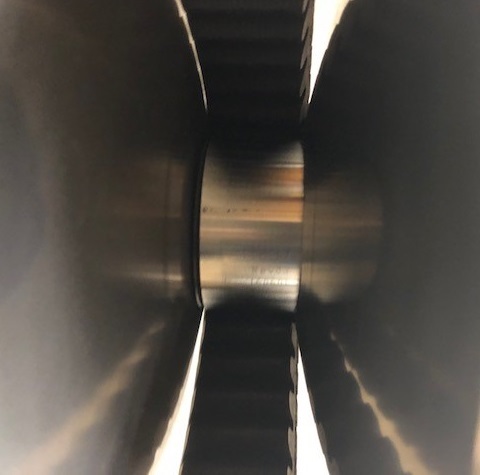 Pic# 1 indicates that the belt is not touching either side of the primary clutch, if this is what you see and it is doing it then you have a bad primary bearing. The belt does not have to be directly in the center either, just not touching either side. Also this is the normal position of the belt or where it should be at idle or engine off. 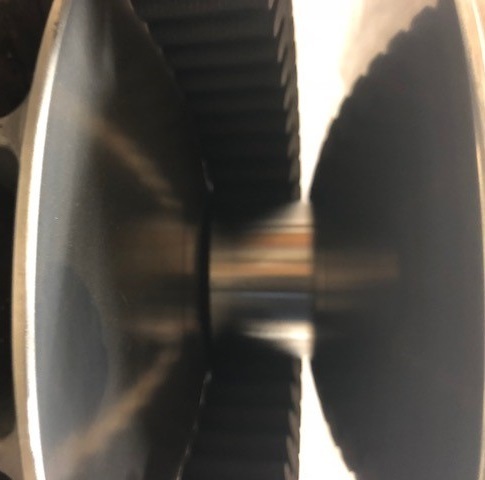 Pic# 2 indicates that the clutch is closed up on the belt and is not opening all the way and that can be for various reasons from dirty clutch, to rollers in spider bad etc. Pic# 3 indicates an alignment issue. On a 800 ranger and RZR there are shims you add or take away from behind the secondary clutch to move the belt in the direction it needs to go in. On a 900 or 1000 of any model or year there are NO shims to do the adjustment. 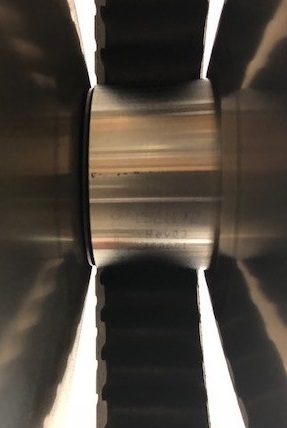 The engine and transmission is connected to each other and there are a series of bolts that have to be loosened and some kind of alignment tool like the SDI tool we sell to hold it perfect while you tighten back up. This article is not going to cover this in detail you can call about this. Once you have determined which of these conditions you have feel free to call me to discuss the best way to fix it. There are variables on that due to age of clutch etc.